Feature: The use of IT in elementary schools _ Mathias Vestergaard Corp. In 2004, a questionnaire on the educational levels of elementary school children in Europe, showed that Danish kids were not nearly as well educated as our neighbours. After the publication of these results, there was a public debate on how we should improve the overal level. This feature was my contribution to the debate. My argument was that we should use new and cost effective IT-platforms like www.netfidus.dk in our existing classes like Danish or Math, instead of making it a new subject in itself. 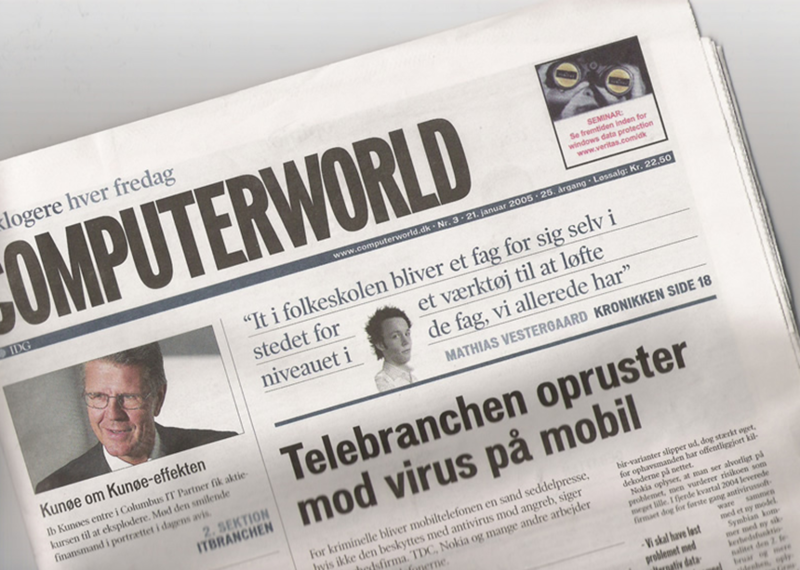 The feature was published in the weekly it newspaper Computerworld in January 2005. This entry was filed under E-learning, IT - Information Technology, Writings.